We are proud to be a child care partner for Warwick School District families! recKids programs provide before/after school care, summer care, and school cancellation/school holiday care. Our experienced and dedicated staff invite families to join the recKids Early Bird Kids Club (EBKC), After-School Kids (ASK), or Older Kids Club (OKC)! Who? recKids child care programs serve students in grades K-6. recKids is a state licensed program and qualifying ELRC (formerly CCIS) families are welcome! Snowy Day and scheduled School Closings care also available at Lititz recCenter! Summer child care also available at Lititz recCenter! How? Pre-Registration is required for recKids programs (before & after school care, summer care, and special day/snowy day camps) and begins in March each year. Registration is on-going as spaces in programs remain available. Programs are capped according to PA DHS child/staff ratios. 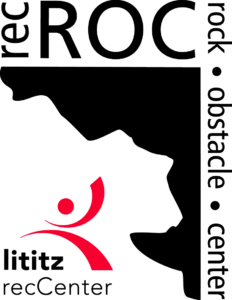 For recKids scheduling, registration materials, and registration and enrollment fee information, please contact recKids@lititzrec.com, 717.626.5096 ext 234. Join our team of child care professionals! Year-round or school-year/summer-only employment options, flexible hours, multiple sites. 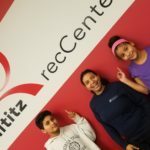 Our employees receive a free Membership at Lititz recCenter, plus other perks. Apply online! WSD Early Dismissal: No After School recKids Care – students will be bused home or to alternate care designated by parents. For more info, please contact recKids@lititzrec.com.